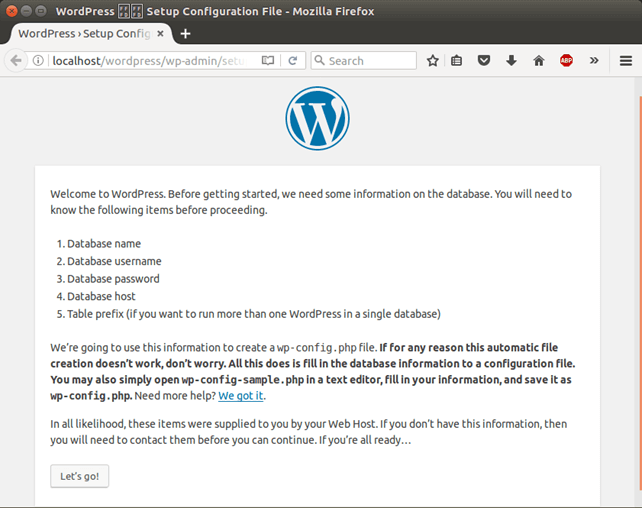 How to Install WordPress in Ubuntu 16.04? Wordpress is an open source CMS (Content Management System). It is used to create dynamic websites using PHP and MySQL database. It works on cross-platform and can be installed on any operating system. 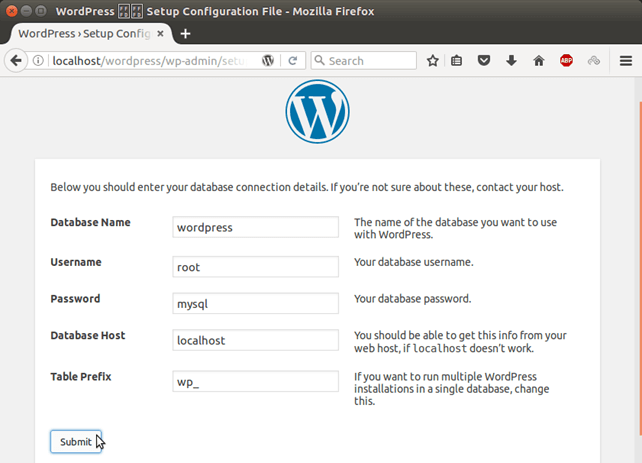 In this tutorial, we are installing wordpress in the Ubuntu 16.04. This whole process includes the following steps. Change current working directory to the /var/www/html/ and run the following command. It will download a zip folder that contains wordpress template. Extract the folder by using the following command. We are creating a database wordpress in MySQL as given in the following screen-shot. Provide database name, database username and password. Specify database host, if database is located at the localhost, enter localhost. Click on submit, it shows php code. 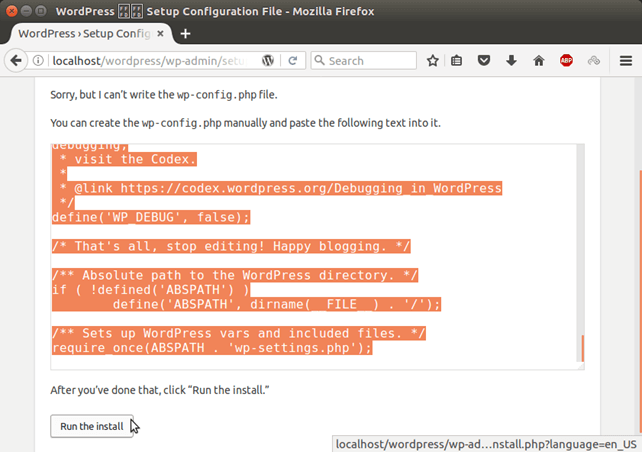 Create a file wp-config.php inside the wordpress folder. Copy that code and paste into the created file. After this, click Run the install. Fill login details into the following form. After providing all details. Click on the button Install WordPress and it will show a success message after doing some internal configuration and installation. 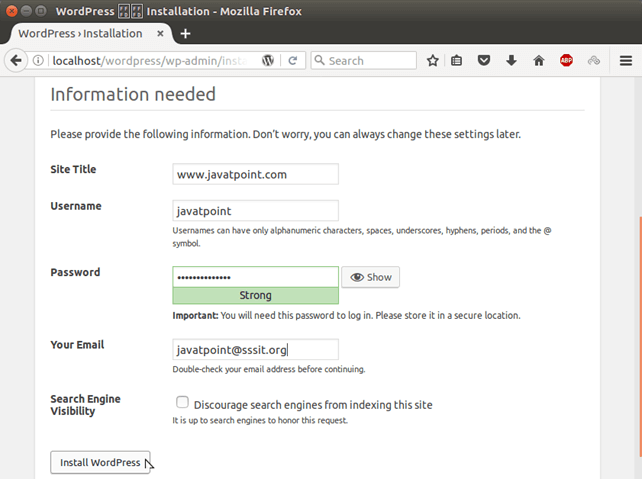 Login into the wordpress by providing login details. After login, it shows a dashboard that looks like below. Now, we have installed wordpress in Ubuntu 16.04 successfully.